Niantic is quick to focus on one problem, while leaving a whole host of other issues unresolved. For some time since launch, Pokemon Go has had some rather large issues. Primarily, the app's tracking mechanic hasn't worked for players in weeks, dubbed the "three-step bug". When Pokemon Go is working, the Nearby list shows an indicator of the distance you are from a Pokemon. You can click on a specific Pokemon and play a sort of hot-and-cold game to find them: three steps is the indicator of maximum distance, followed by two steps, and then one step within spitting distance. With no step indicators, you simply have to wander and hope you cross paths with your desired Pokemon. From left to right: How the tracker is supposed to work, the three-step bug, and the current tracker. Pokevision and other third-party sites filled in that missing feature in one way. 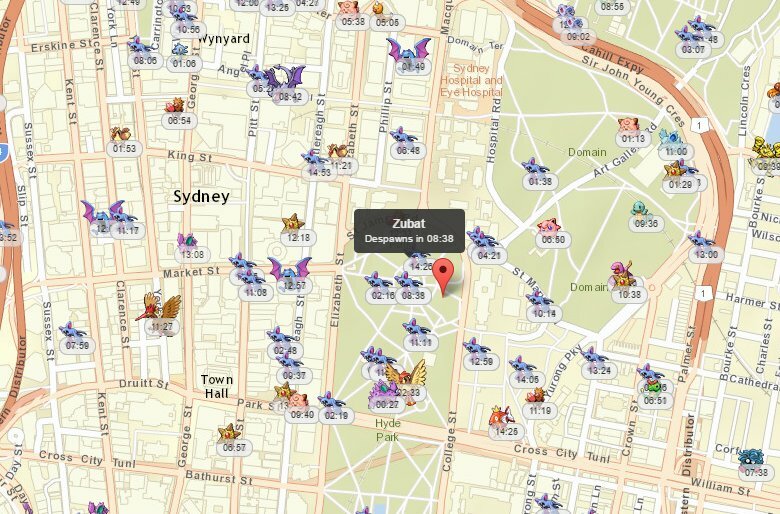 In lieu of a built-in tracker, these sites looked at Pokemon Go's code and accessed specific APIs to give players a map of current spawns within a searchable region. This is far beyond the spirit of the game and Niantic was none too pleased with these third-party sites. "We have priorities right now but they might find in the future that those things may not work," said Niantic CEO John Hanke in an interview with Forbes on Sunday. "People are only hurting themselves because it takes some fun out of the game. People are hacking around trying to take data out of our system and that's against our terms of service." A days later, Pokevision went down. The official Twitter account for the site noted that it was complying with Niantic and Nintendo's wishes. Hey guys. We wish we had some news for you. At this moment, we are respecting Niantic and Nintendo's wishes. Will keep you guys posted. @PokeVisionGo why not after they fix their step glitch/tracking? We're blind right now. Some Pokemon Go fans are flipping their lids. Niantic's moves in this case were quite logical. Pokevision and similar sites were not intended by Niantic and it's a good business decision to have such sites stop operation. The problem here is one of perception. Niantic was very quick to move against sites like Pokevision, but at the same time has been unable to fix the app's built-in tracker. In fact, as a 'fix', the latest update removed step indicators altogether and prevents players from focusing on one Pokemon. Pokemon Go through the game's own design, was intended as sort of a digital scavenger hunt. At this point, it's more of a companion app for walking, albeit one that drains your smartphone battery far more than something like FitBit, Zombies, Run!, or Nike+, and doesn't play well with any other apps on your phone. The issue with the tracker isn't the only core feature that players have complained about that Niantic has been seemingly unable to fix. If you live outside of a city, your ability to catch Pokemon and utilize Pokestops is severely hampered. In my town, there are a few PokeStops and most of the time I run into same three Pokemon, many times rather far apart. I went to New York last week and it was like night and day: PokeStops as far as the eye could see, most with lures, and multiple Pokemon every block. I found 8 new Pokemon in 10 minutes of walking in New York. 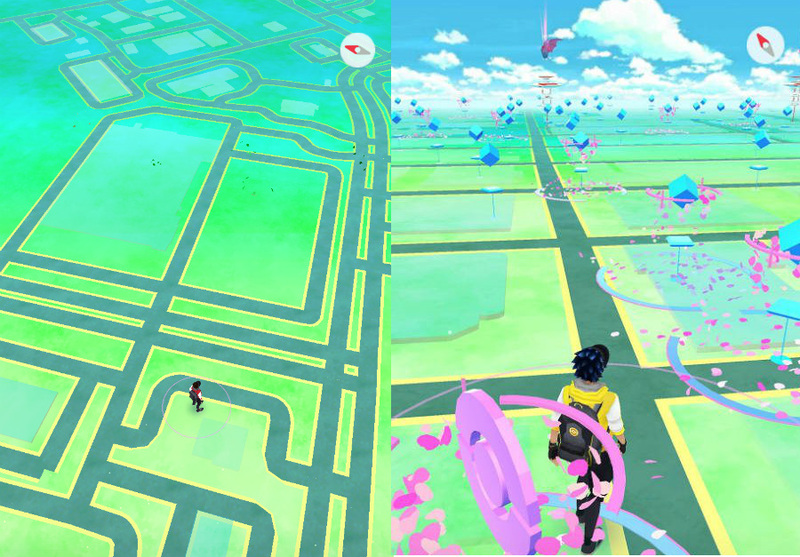 Rural vs. urban: Pokemon Go Style. People have brought this up before. The lack of PokeStops means those in rural areas are frequently starved for Pokeballs. The lack of spawns means those folks have to travel longer distances to find Pokemon. And once the tracker broke, there was no real incentive for those in rural areas to play the game. I took a long walk last week and found three Pidgeys and two Weedles for my trouble. That's not enjoyable, especially not in 90 degree weather. So the perception here is that Niantic is not concerned about its playerbase. It is quick to shut down sites like Pokevision, but it seems unconcerned about correcting known issues within the app itself. The company felt like it was in a rush to launch the game in more regions, even while the existing regions were struggling with server issues. Now players know that Niantic can be quick to resolve an issue when it wants to. Never the best look. Most of this could be resolved if Niantic had anywhere near the bare minimum of communication with its players. There has been no "We understand that these issues are important and we hope to resolve them soon." No, "We're working on a fix that will be rolled out on this timetable." Instead, Niantic's official Twitter is purely concerned with letting players know that the game is available in a new region. CitiBank analysts have told CNN Money that Niantic is worth an estimated $3.65 billion and Pokemon Go will bring in an estimated $750 million for the company this year. Another analyst , Morgan Stanley MUFG Securities' Mia Nagasaka, told CNBC that Pokemon go cleared $3.9 million to $4.9 million in its first day in Japan. Niantic has the resources to resolve these issues, or at the very least, pay someone to talk to the community about them. It's silence is deafening. It's lack of (perceived) movement on fixing known issues is perplexing. It feels like Niantic is learning how to actually operate a games-as-a-service title for the first time ever, despite running Ingress since 2011. There's a reason your favorite MMO or online game has a community manager, official blogs, a robust social media presence, dev interviews, and official forums. The point is to keep fans in the loop while you fix issues or work on forthcoming content. Niantic lacks any of this and it's mystifying. The company launched an app that became successful despite the constant crashes, server disconnects, slight mechanics, and rampant bugs. And since then, the company seems dedicated to moving in the opposite direction where the app's gameplay is concerned. Pokevision and sites like it might not have been the right band-aid, but it was the only one players had. To remove them is the right decision, but to do so without fixing the in-app tracker was a poor idea. That combined with the lack of communication smacks of ignorance at best, or lack of caring at the worst. And when your players feel you don't care about them, they will slowly dribble away. Tagged with Android Devices,	Articles,	iPads,	iPhones,	The Pokemon Company.